Newly updated main floor condo with private setting overlooking Willow Creek is a unique find. Move in & enjoy warm and modern grey tones & lovely updates. Dramatic great room features stone f.p., cathedral ceilings, new ceiling fan & lg windows taking in the privacy & mature trees which compliment the patio. Laminate floors flow into the open kitchen, eating area & hallway. Kitchen features S.S. appliances, new refrigerator & solid surface counter tops. Spacious, beautiful 5 piece bath features new shower & toilet, includes lg soaking tub, stone countertops w/dual sinks and a private entrance to the sizable master bedroom. French doors to 2nd bedroom can serve as an office. Home also includes new carpeting, blinds & water heater. Ample unreserved parking is accessible all around the building. 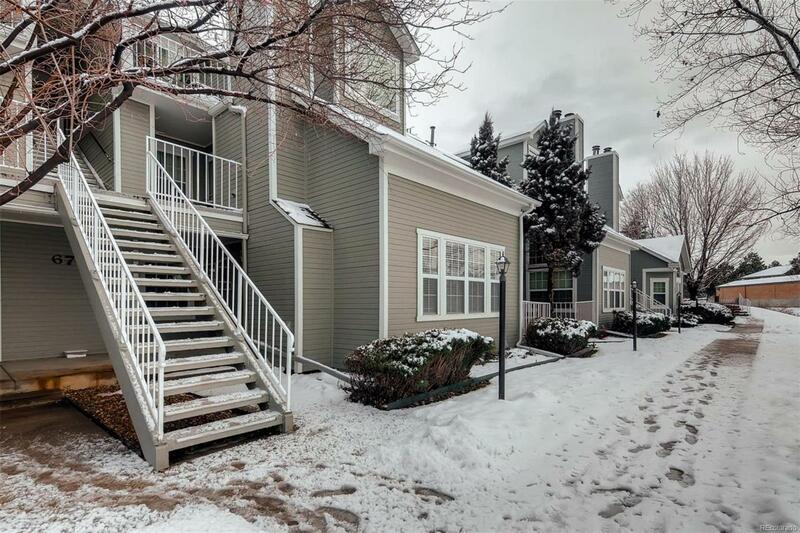 Great location is a short drive to DTC and light rail. A short walk and you are at Holly Park, Willow Spring Open Space & South Suburban Trail System. Part of the Cherry Creek School District.